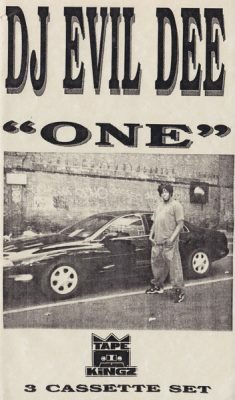 The best mixtape series Dj Evil Dee has ever done (imo), immortalized in a three cassette set. Be advised, as usual with these Tape Kingz tapes, soundquality varies from tape to tape, still enjoyable though. Evil Dee is on the mix, common kick it. Tha Dogg Pound – N.Y. N.Y.
Tragedy feat. CNN & Mobb Deep – L.A. L.A.
2 comments "DJ Evil Dee – One (Cassette) (1996) (FLAC + 320 kbps)"
can you reup the upload link?